If you're looking for a Louisville airport, you really only have one major choice, and that is the Louisville International Airport. The Louisville International Airport is located just ten minutes from Downtown Louisville and provides flights for people within a 200-mile radius of the city. The Louisville airport is also the home of UPS's Worldport Hub, one of the top cargo shipping facilities in the world. The Louisville International Airport offers nonstop flights to Las Vegas, Phoenix, Minneapolis, Miami, New York, Philadelphia, Detroit, and Houston, among many others. The airport code for Louisville International Airport is SDF, a list of hotels at and near the airport can be found at TripAdvisor, and flight departures, arrival times, and delays can be found at FlightStats.com. 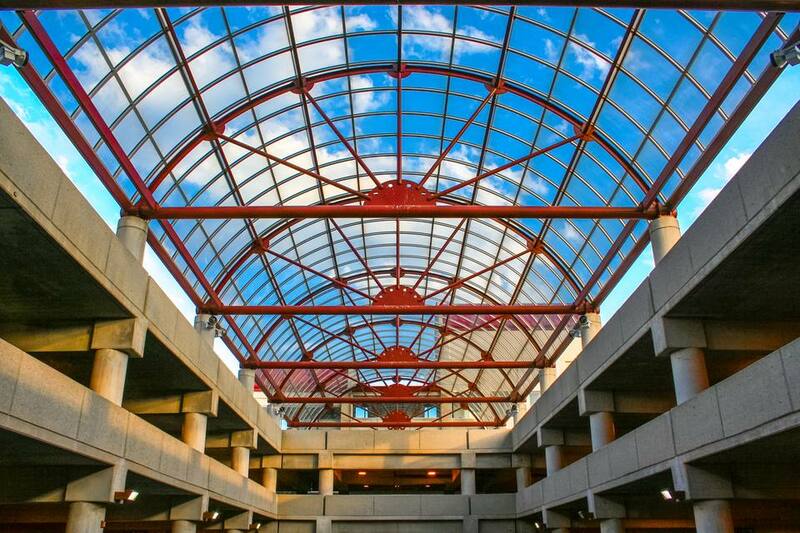 Louisville airport parking is much easier and more convenient than parking at many other major city airports. Louisville International Airport has an under-four-hours parking garage, and over-four-hours parking garage, long-term surface parking, a credit-card-only parking lot, valet parking, and handicapped parking. Shuttle service is available from the long-term parking lot every 10-15 minutes daily from approximately 4 a.m. to Midnight. Curbside passenger drop-offs and pick-ups are available at Louisville International Airport, but vehicles must be occupied at all times due to security concerns. If you are waiting on a call from the person you are picking up from the Louisville airport, you can wait in the free, short-term cell phone waiting area. If you enter the wrong parking lot, you can exit it within 10 minutes without being charged a fee for parking in that lot. There are several convenient methods of Louisville airport transportation to get you into and out of the airport, but car rental, hotel shuttles, and taxis are the most commonly utilized. Taxi services are available just outside of the airport exit ramp. Several cabs sit outside and wait for passengers, and occasionally you can get a discount if you share a cab with another traveler who is going to the same destination as you. Louisville airport car rental services are available through Alamo, Avis, Budget, Dollar Rent-a-Car, Enterprise, Hertz, National, and Thrifty. Rental cars can be reserved through these companies before your arrival or through their Louisville airport kiosk after your arrival. If you're staying in a hotel that is close to the Louisville International Airport, your hotel may provide airport shuttle services from the airport to your hotel. Make sure to ask about this service when you make your reservation.